The Arrow (previously known as Black Arrow) was formed 24th of October, 1994, by Pavel Blischenko in Moscow. The band began to prepare the material for its first concert program. Right during those days was formed the very special sound that later became The Arrow's trademark: brutal guitar riffs, lyrical and sparkling solos, attacking keyboard passages and, of course, the dynamism that emphasized the band among its likes. The concert program was finally composed. It was called "Flying High Live" and included songs "Children Of Gods", "Mystery", "Saver", "Jewel Roads" and "Never Return". The first Black Arrow's show, that took place in "R-Club" on November the 2nd, 1996, gave the appreciable resonance in press and Fido. The band continued to rehearse. The culmination of all efforts was the C.D.M. show that gathered over 1500 fans of the band. By that time Black Arrow already had an imposing fan-club. The show was more than a mere success, and it was February the 18th, 1997, that became the countdown point. Having reached the peak of its first luck, Black Arrow was torn apart from the inside by insuperable contradictions that led to total fiasco on Death-Rider-Festival show, and the band split. Lead singer Andrey Khramov and Black Arrow's leader Pavel Blischenko were the first to leave the band, followed by the drummer Valentin Dobrovolsky. As far as Sergey Knyazev (guitar) and Dmitry Mertzalov (bass) are concerned, they gave up their musical activity a year later. In 1998 the new phase of the band's development began. Black Arrow's leader Pavel Blischenko saw the reasons of the first band's split in total "...absence of future", in absence of proper perspectives for the further creative and musical activity. For that purpose he bought the apartments on the backcountry of Moscow and step by step managed to buy all needful studio equipment. Andrey Khramov decided to continue working with Pavel. New musicians replaced the missing guitarist, bassist and drummer. On October the 16th, 1999, Black Arrow started working on the material for its debut album. The band members spent the whole year in Black Cat Records studio recording the tracks for the work that was called "Children Of Gods". In the end of the year another substantial event occurs in the band's life - according to some legal difficulties. Black Arrow changes its name. The compromise variant came on its own, and the new name The Arrow was confirmed during the band members' general meeting. 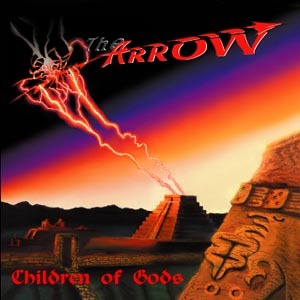 Since the beginning of 2001 The Arrow continued to record "Children Of Gods". At the same time the band covered the track "Ride The Sky" for the Russian compilation "Tribute To Helloween". Some time later The Arrow were invited to record the cover-song for the Russian "Tribute To Aria", they selected the track "Dai Ruku Mnie" and did the version of it together with the band called Roza Vetrov. "Children Of Gods" was completed on 16th of April, 2001. The well-known Russian Metal record company IROND Records liked the material and did the deal with the band. The debut album was released on 27th of November, 2001. Not long before the CD' release new bass player Yuri Bobyrev joined the band. The Arrow started rehearsals and in 2002 played several shows. A part of video material filmed during the concerts was included in video compilations: The Arrow "Flyin' High Life" that also included early archival videos of 1996-97, and "Music Infection IV", released in June of 2002 by Abyss Video. 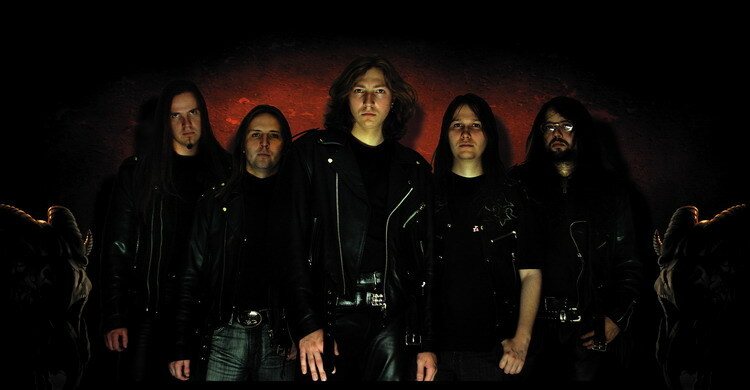 In May of 2002 The Arrow, being the only Russian band that was invited to participate in International Blind Guardian Tribute "Tales From The Underworld", recorded a track "Time What Is Time" from Blind Guardian's album "Somewhere Far Beyond" (1992). Right after performing at "Svalka" club on 26 th of May, 2002, vocalist Andrey Khramov was fired out of the band. His departure ruined the deal with German recording label LIMB Music Productions. He participated in casting for Ария's vocalist, but failed because of the "asocial relations and extremely unprofessional attitude towards work".